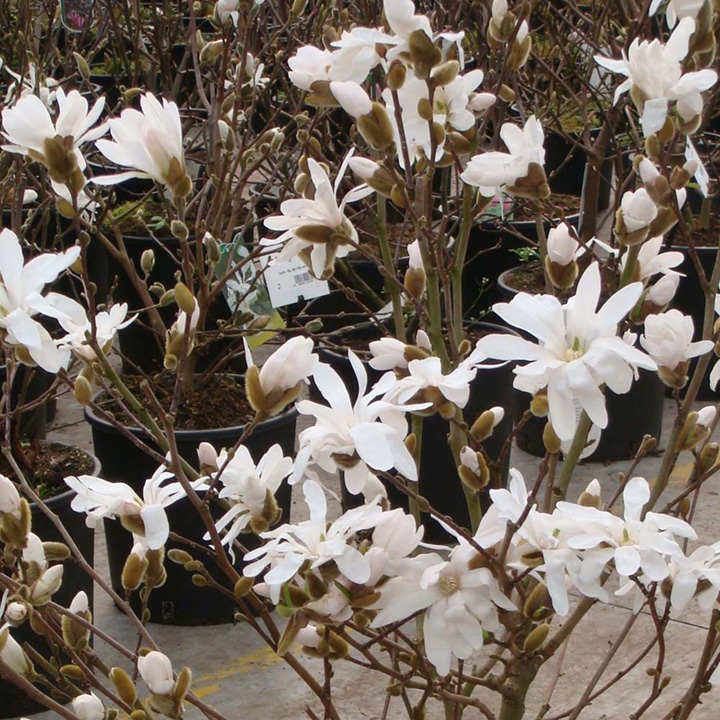 An excellent small rounded magnolia, Rosea is perfect for a small garden or even in a pot as it will grow to an eventual height of 2m in 20 years. 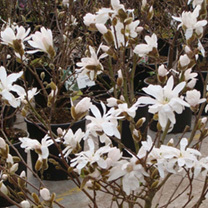 Lightly fragranced star-shaped flowers open from pink buds, slowly fading to white in early spring. A beautiful specimen, the glossy green foliage can be tinted with bronze shades during the summer. Height 200-250cm. Supplied in a 3 litre pot.